A Conversation with David Remes Guantanamo Detainee Lawyer: the first video (Arabic Subtitles) was released in May and the second video in February of 2013. The subject of Guantanamo Bay is revived every time a prisoner dies. When the outcries lead to nothing, the subject is then unheard of. The last death in Guantanamo was that of Adnan Farhan Abdul Latif on September 08, 2012. Adnan, like many other Yemeni detainees, had no charges pressed against him. This week Yemeniaty meets with David Remes, a lawyer who defends these detainees pro bono. 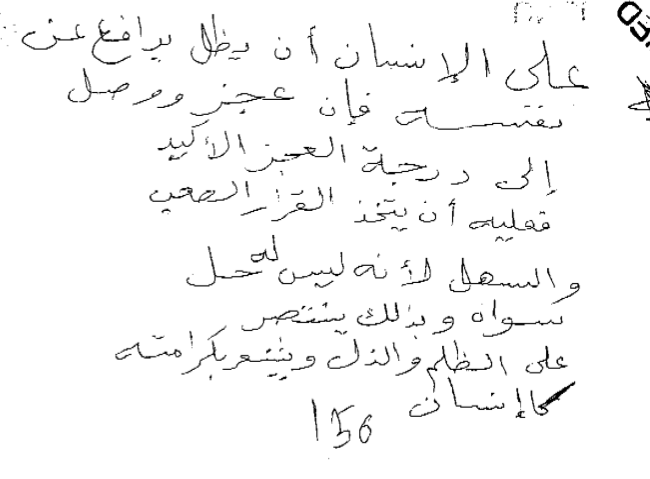 He shares with us letters handwritten by Adnan Abdul Latif. Adnan used to write poetry about his experience in Guantanamo. hearings. Meanwhile they are leading me to death. moment. The way they deal with me proves to me that they want to get rid of me but in a way that they cannot be accused of causing it. block, camp five, in a cell that resembles a lion’s cage. It has been made especially for me in this way. I am also without the Quran because of several mishandling of it. I was also deprived of praying several times. (My prayers are more important than my life.) They entered my cell during prayer for no reason. stretcher and carried me to the clinic in camp five then returned me back to my cell. They repeated that fifteen times until I lost my mind; they broke my bones and made me bleed. This also happened on the second day when they entered my cell ten times hitting my head against the wall and dragging me on the floor and leaving me there in the middle of the cell which was full of water, urine and feces. I was left in this dirty mixture all day with my hands tied firmly behind my back. mentioned in the beginning of this letter. They even gave me a big pair of scissors. It was given to me by the person responsible for camp five. This made me ask for the police. A Chief in the Navy who is specialized in investigating such incidents was called. It is your duty towards me to follow up on the results of this investigation. letting me eat by orders from the surgeon. away from a non-extinguishable fire and no-end torture. Marc and David: In the end, I am a human being. Blessed is he who can rescue a human being from his ordeal.